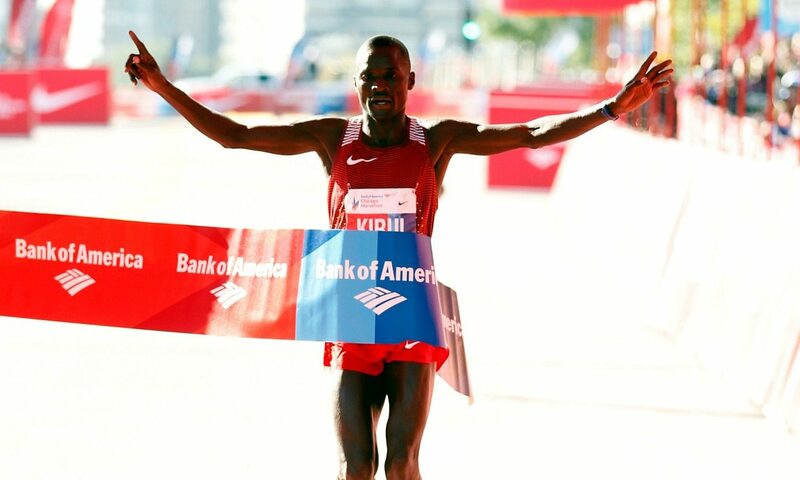 Abel Kirui and Florence Kiplagat will be looking to retain their titles, with Kiplagat going for her third consecutive win at the Bank of America Chicago Marathon on Sunday (October 8). It is not set to be an easy task, however, as the two Kenyan athletes form part of strong fields at the Abbott World Marathon Majors series race which also include the likes of world record-holder Dennis Kimetto and Ethiopia’s Tirunesh Dibaba, the third fastest female marathoner in history. Two-time world champion and London 2012 silver medallist Kirui clocked 2:11:23 to win in Chicago last autumn, while his compatriot Kimetto returns to the event for the first time since breaking the course record with 2:03:45 in 2013. The following year he ran his world record 2:02:57 in Berlin but since then his best performance has been a time of 2:05:50 for third at the 2015 London Marathon. Kenya’s Stanley Biwott, who won the 2015 New York City Marathon, is also likely to pose a threat to Kirui’s title defence, as is Ethiopia’s Olympic marathon silver medallist Feyisa Lilesa. Galen Rupp, who claimed marathon bronze in Rio behind Lilesa last year, leads home hopes. While Kiplagat, who has a marathon best of 2:19:44 from 2011, goes for her third Chicago win in a row, Dibaba races at the event for the first time in what will be her first marathon outside of London. The three-time Olympic track gold medallist ran 2:20:35 on her debut in the UK capital in 2014 and then improved to 2:17:56 earlier this year to put herself third behind only Paula Radcliffe and Mary Keitany on the world all-time list. They will line up alongside athletes including USA’s Jordan Hasay, Kenya’s Valentine Kipketer and Australia’s Lisa Weightman. Swiss duo Marcel Hug and Manuela Schär are currently top of the Abbott World Marathon Majors Series XI wheelchair leaderboard and the races will see Britain’s Simon Lawson and Sammi Kinghorn, making her marathon debut, also among those in action.